International Shipping Services offers a number of shipment options for the international relocation of your motorhome or camping trailer. Each shipment method is customized to the individual needs of each customer depending on the size of RV and destination. One of our international RV shipping specialists will discuss your options and prices with you. 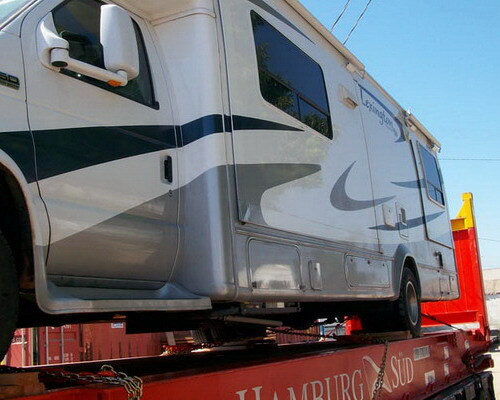 Shipping motorhomes and travel trailers overseas from the USA by container and RoRo. Step 1: The customer can either deliver his RV with all of the necessary documents to the port/warehouse or ask us to pick it up. Step 2: Int'l Shipping's crew loads and secures the vehicle into an ocean shipping container / flat-rack or the port workers will load it directly onto the vessel with Ro/Ro transport. Step 3: The RV is then transported to the port of departure, cleared with Customs and loaded onto the shipping vessel. Step 4: Once the rv has reached its destination, it will be taken off the vessel where the port agent will see it through Customs and either deliver it to the new residence or have the client pick it up directly from the port/warehouse. Take a couple of minutes to read testimonials about what our clients are saying about ISS International Shipping Services. We take great pride in providing quality transportation services to all of our clients and hope to work with you soon. Their services are excellent, I have used them several times with no problem. I have also referred them to friends who used the company and no problem was reported to me. 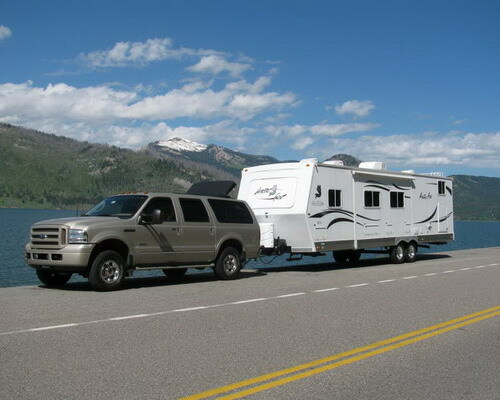 I will use the company anytime I am moving a recreational vehicle from USA to overseas. I always call them for a quote and compare their prices with other companies. Their prices are very reasonable. Our dealership ships RVs to customers overseas almost every single week through a variety of shippers. ISS was by far one of the most responsive shippers we have ever used. Once the RV was released for shipping and services were contracted, I received a telephone call confirming everything and was provided contact information for the driver. Definitely a very positive shipping experience! I had my motorhome shipped from Baltimore to UK. I have been so pleased with this experience and would definitely recommend ISS if you need to use a shipping service for a recreational vehicle. They were very professional, knowledgeable and excellent in communication with me as to when my motorhome would be shipped and delivered. I can't say enough good things about this company. We specialize in ocean transportation of cars, trucks, boats, buses, recreational vehicles, construction equipment and farm machinery from USA to ports and countries in Europe, Mediterranean, Middle East, Asia, Africa, Australia and Latin America.